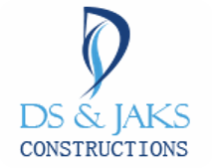 We have a team of dedicated Civil Engineers, having 20 years of experience in the construction industry. We have completed 10 residential projects, and 4 projects are in progress in Bangalore. The builders are Civil Engineers having 20 years of experience in the construction industry. Their twin objectives are “Quality Construction” “More Value For Money” With this vision and strategic planning, we deliver what we promise. Quality in every detail of work, at each level and continuous innovation are what that sets us apart from the rest of the builders in the country. A comfortable lifestyle, peace of mind and a close connect to nature are the three priority wishes anybody could aspire for. With this grace,we are able to offer in our own humble way, aptly named – “NEEDS 3 Project 100” a 100 flat apartment project, at Haralur Road, with all its enviable features, at an affordable price.